John Lehmann joined the Hogarth Press as a trainee manager in 1931 when it was in the full flush of its first success. Virginia Woolf’s To the Lighthouse had just been published, as well as T.S.Eliot’s The Waste Land and Katherine Mansfield’s Prelude. This was to be the first of two periods of engagement with the Press, the second of which lasted until 1946. 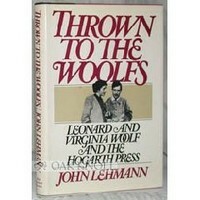 Thrown to the Woolfs his account of publishing and the literary world of the 1930’s is dominated by the figure of Leonard Woolf, whose own account of the Hogarth Press in his Autobiography confirms almost all of what Lehmann says – though they differed over issues of policy. It’s a rather unglamorous world of working strict office hours in crowded basement rooms, with “a ramshackle lavatory, in which old Hogarth Press galley proofs were provided as toilet paper”. He was delighted to be mixing with some of the major figures of the modernist period, as well as the up-and-coming writers of the day. There are sketches of writers of the period with whom Lehmann dealt: Michael Roberts, William Plomer, and Christopher Isherwood, whom he introduced to the Press as the Great Hope of English Fiction (which people believed at the time). Leonard himself was, in general, cool and philosophical about the ups and downs of publishing: his fault was in allowing trifles to upset him unduly. A penny, a halfpenny that couldn’t be accounted for in the petty cash at the end of the day would send him into a frenzy that often approached hysteria… On the other hand, if a major setback occurred – a new impression, say, of a book that was selling fast lost at sea on its way from the printers in Edinburgh – he would display a sage-like calm, and shrug his shoulders. It’s quite obvious from his account that although he was being employed in commerce as a publisher’s assistant, to write adverts, promote sales, and check proofs, his heart was set on being a ‘poet’ himself. The tensions he felt with Leonard Woolf became more serious, and within two years of securing what he at first thought of as his dream job, he gave in his notice and left under a very dark cloud. He then gives an account of his wanderings in central Europe, inspired by Rilke’s notion that “In order to write a single verse, one must see many cities” (not having read Emily Dickinson, it would seem). Much of this part of the story revolves around Christopher Isherwood and Lehmann’s efforts in publishing the collection New Writing. But in 1938, having made up with the Woolfs, he bought out Virginia’s share of the Press and rejoined it as manager and full partner. Books that in peacetime, when there was an abundance of choice, would have sold only a few copies every month, were snapped up the moment they arrived in the shops. Priority was given to keeping Virginia Woolf’s works in print even after her death, as well as the works of Sigmund Freud which the Press had started to publish. 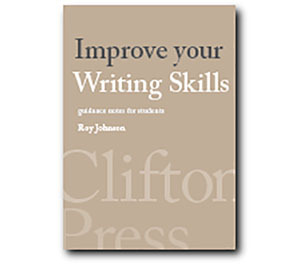 Other writers whose work appeared around this time were Henry Green, Roy Fuller, and William Sansom. However, following Viginia’s death in 1941, there remained only two essential decision makers on policy. Without her casting vote, the differences between them grew wider and led to clashes. Lehmann wanted to publish Saul Bellow and Jean Paul Sartre, but Leonard said ‘No’. There were also misunderstandings about income tax returns and the foreign rights to Virginia’s work. When the final split between them came about, Leonard solved the problem by persuading fellow publisher Ian Parsons of Chatto and Windus to buy out John Lehmann’s share. Parsons was the husband of Trekkie Parsons, who lived with Leonard during the week and with her husband at weekends – so as well as sharing a wife, they became business partners. John Lehmann eventually went on to found his own publishing company, and the Hogarth Press was absorbed into Chatto and Windus on Leonard’s death in 1969. This is an interesting account of their joint efforts – partisan, but reasonable and humanely argued. For literary historians it’s an interesting account of English culture and letters in the 1930s and the war years. And it’s also a fascinating glimpse into the world of commercial publishing. Anyone who wants to make judgments about the rights and wrongs in the disputes between the principals should also read Leonard Woolf’s excellent Autobiography.